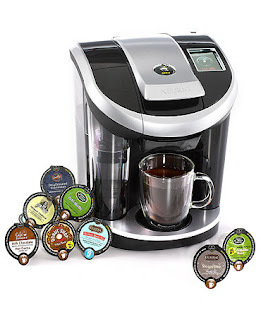 Frugal Follies hosted the first part of the Seeing Double Keurig coffee maker giveaway - it ended a few days ago. Congratulations to the winner! And that means it's time for the second part of the giveaway! 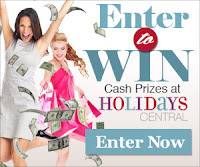 Enter below, then leave me a comment. Thanks! Disclosure: I received no compensation for this publication. My opinions are my own and may differ from those of your own. Frugal Follies is not responsible for sponsor prize shipment. Please contact Mom Powered Media with questions or to see your business or blog featured on the next big event! I'd try Starbucks House Blend first. Thanks for doing this giveaway. I would brew Starbucks House Blend Coffee first! I would try the Barista Prima Coffeehouse Vanilla Latte. On facebook group 2 of the rafflecopter. I am able to get to the raffle copter but two of the pages are not working, sparkle something and hand-crafted ... message on rafflecopter is "sorry, it is not working." On your rafflecopter, facebook like group 8, WhatsUPPinoys fans does not have a live link. Facebook group 9 .. mom to bed at 8 ... rafflecopter not loading. I am going to give up on this one. Too many non-functioning rafflecopters. I'd try the Tully's House Blend Coffee! I would try Gloria Jean. Would be a nice birthday gift. I would to have this product.. They are so easy to use. My parents have one & love it.. I'd love to try a vanilla flavor! I would try the Green Mountain Breakfast Blend first. I would try the Caramel Vanilla Cream Coffee first. It sounds delicious! Coffee is better then Energy drinks! Tully's House Blend...although realistically I'd have hard time choosing whay TYPE of beverage I wanted,lol! What V-Cup would you try first? Dark Chocolate Hot Cocoa first! ooOOoohh! I'd love to try the Café Caramel Specialty!! I would love the Caramel Vanilla Cream coffee! Cafe mocha and/or chai latte... I judge a cafe on their ability to make those, why not judge the kurig on it too? Cafe escapes - chai latte. Yummm. I would try French roast. I'd try the Newman’s Special Blend Extra Bold Coffee. I would definitely try white hot chocolate!! I would try some hot chocolate! I'd try Starbucks House Blend first. I would like to try the Starbucks House Blend Coffee .